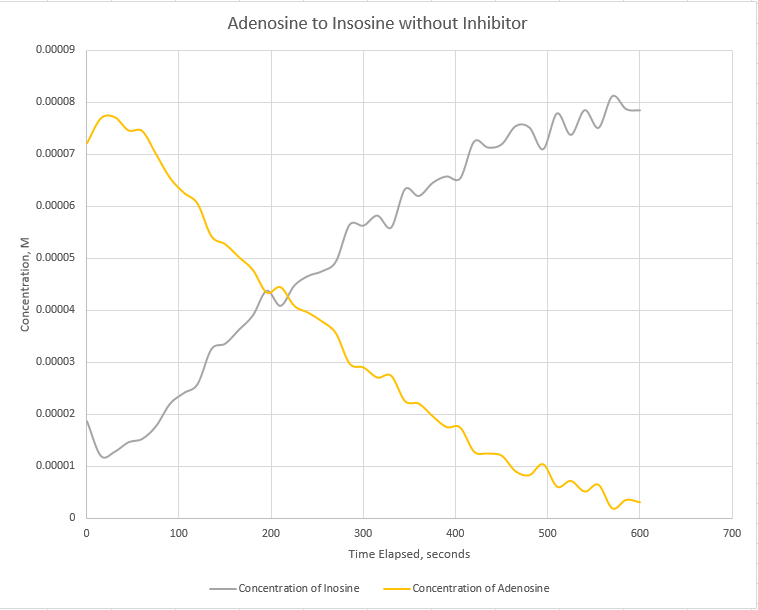 Measure and observe ADA kinetics without inhibitor. This work will be the basis of our comparison to ADA-AuNPtunrover studies. From Dr. Hartings. Go to Dr. Hartings lab for enzyme kinetics measurements.